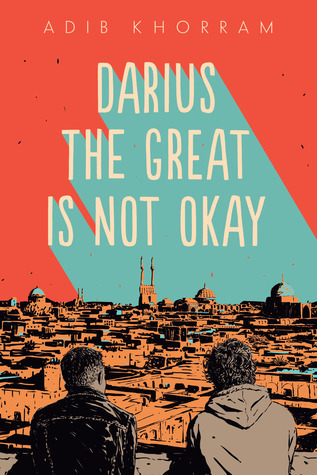 Guest Interview: Julian Winters Talks to Author Adib Khorram in Honor of the Release of Darius the Great is Not Okay! 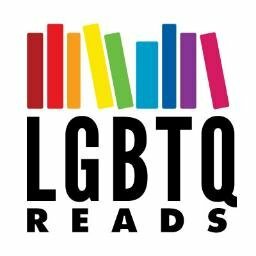 What happens when you get two delightful authors of queer YA coming together to discuss one’s new release, that just happens to be so beloved by me that it’s this month’s new release spotlight? 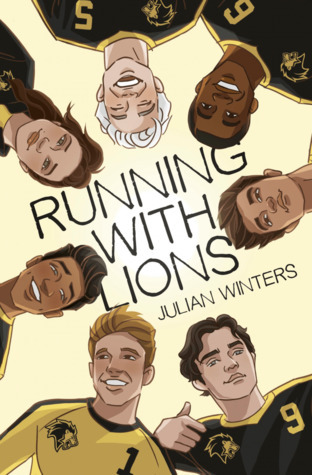 This amazing interview, conducted by the absolutely wonderful Julian Winters, author of Running With Lions. I’m thrilled to have Julian and Adib on the site today discussing mental health rep, relationship dynamics, and more! Come check it out! Hi Adib! Thank you so much for taking the time to answer some questions about your amazing debut YA novel, Darius the Great Is Not Okay. I don’t know if you’ve heard but… I’m a huge fan. The last book that drew me in and stayed with me like this one was Aristotle and Dante Discover the Secrets of the Universe by Benjamin Alire Sáenz. The friendships, the look at parent/child relationships, the journey and growth of the characters—everything a reader needs, especially a young adult reader, is in this book. Can you tell us a little bit about your book journey and what inspired you to write this one? Thank you for having me! Aristotle and Dante is amazing company to be in. It’s one of my favorites, so I definitely hoped to hit some of the same notes. I started writing Darius while I was visiting my dad’s side of the family (the Iranian side) in Vancouver for Nowruz. I had just finished a first draft of a book I thought was unique and different and was sure to be the kind of book that would get me an agent. It seemed fresh and fantastic. The next day I saw a deal announcement from Publishers’ Weekly that sounded like…pretty much what I had just finished. So I flipped some tables and moped for a day or two and then I decided to write something only I could write: about being Iranian-American, torn between two cultures, growing up with depression. Things I knew intimately, that I still struggled with, and that I felt I needed to reconcile. I wrote it, and revised it, and revised it, and revised it, and revised it some more, and started querying. I did an R&R at one point that made some hugely beneficial changes. And I eventually landed an agent, Molly O’Neill, who loved Darius and wanted to represent it. So we revised it more and then she started sending it out to editors, and we got acquired by Dana Chidiac at Dial. And then we edited it even more! But I’m so happy with how it came out. Darius is such a soft boy. He cries, struggles with his emotions and appearance. He loves hard. It’s so heartfelt but also very real. He also has clinical depression and I loved the way mental health is treated in this book. It’s openly discussed and Darius—nor his immediate family—never once tries to ignore that it’s there. Can you talk about how important it was to show Darius’ depression? Also, his relationship with his father in regards to depression? I’ve been heartened to see the increased representation of depression and mental illness in YA literature, but a lot of it didn’t speak to my experience, which was and has been, for the most part, one of low-level, persistent melancholy rather than suicidal ideation or other crisis. I wanted to write about people whose depression is manageable, whose lives are informed by it without being defined by it. I think, because there’s a genetic component depression, and because my own family has a long history with depression, it was important to acknowledge that it can be a generational disease, and I think generational diseases can lead to complicated feelings for both the parent and the child. I’m glad you mentioned how soft he is. I think it’s so easy to characterize people with depression as aloof or detached. But I often experienced it as too much feeling. And I also think it’s important to show boys that it’s okay to be soft. Unpacking and dismantling toxic masculinity is something I hope to grapple with in all my work. The father/son dynamic is honest and incredibly-well done. Darius’ issues with his father ache somewhere deep. They don’t necessarily see eye-to-eye on a lot of things, but they have one common ground—Star Trek: The Next Generation. For me, that hit home because the only connection I have with my own father are through our shared love for sci-fi series or movies. What inspired this interesting look at father/son dynamics? It came from a lot of places. Like I said, some of it came from my wanting to examine how generational disease can shape relationships. And part of that is that, as the child of diaspora, I and others like me often have a hard time dealing with parental expectations. I also wanted to explore how we form our loves. I got some of mine from my parents, and some from my friends. I was introduced to Star Trek by my friend in second grade, but it was something that my grandma and I watched every Thursday (which is when new episodes aired on our local NBC affiliate). I think those special moments of shared experience can really come to define our relationships. And it sounds like you found that, too! Darius has a lot of great relationships—his mom, grandparents, Sohrab—throughout the book. My favorite was the one with his younger sister, Lelah. It’s apparent how much he cares for her. But he’s also quietly frustrated with how easily she blends with his family in Yazd—something he’s struggling to do—because she speaks Farsi. And how their father welcomes her into the ST: TNG viewings when that’s the only thing Darius shares with him. Again, those moments were so easy to connect with. Was that an aspect of sibling relationships you set out to write? Was it something that developed as you wrote? That’s something that developed in the edits. Originally Darius and Laleh’s relationship was maybe a little too saccharine; my genius editor pointed out that no matter how much Darius loves her, there would still be moments when he was sick of her. That’s just human nature. And I’m so glad she did point that out, because I think it makes their relationship read as so much more real. Majority of the book takes place in Yazd, Iran. 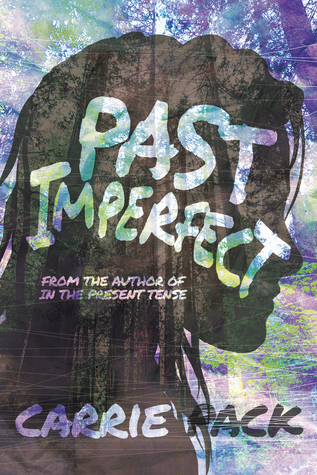 It’s rare but wonderful to see a YA contemporary novel take place in somewhere other than America. It was refreshing and insightful. Was it difficult to explore Darius’ journey while also taking readers on a journey through Yazd’s landscape, explaining cultural differences, food, Persian holidays, and Farsi? Actually, I don’t think I could have told the story without having it take place in Yazd. To me, Darius’s internal journey was always mirrored by his external one. He couldn’t know who he was without knowing where he came from, and he couldn’t appreciate where he came from without understanding how that influenced who he was. By the way, my life goal now is to have you introduce me to the wonders of faludeh! I accept this challenge. It can be hard to find but it’s worth it. There’s this beautifully understated romance in this book. But it’s not your paint-by-numbers romance. It’s not even a boy-meets-boy romance. It’s Darius falling in love with the city of Yazd. It’s the platonic romance of Darius and Sohrab. It’s Darius falling deeper in love with his grandparents and, by extension, himself. Were those your intentions—to show a main character experiencing a different type of love? Was there ever any push for you to have a romantic storyline in the novel? All of my most important relationships in life have been non-romantic love, and that was even more true when I was a teenager. I think it’s important and true to show that the love between two friends, or the love between a son and his grandmother, can be as life-shattering as a romance. Okay, we have to address the nerdiness of Darius. It’s perfect! His excitement/dedication to things like the Lord of the Rings and ST: TNG is as much hilarious as it is relatable. How much of that is you? And, for the record—besides Captain Picard, who is your favorite ST: TNG character? I’m super nerdy, and I am beyond excited to see Captain Picard’s return! It’s like a dream come true! So I did borrow a lot of my own nerdiness to bring Darius to life, though I tried to channel the shape my nerdiness took when I was in high school rather than what it’s like today. I feel like I loved things in a really remarkable and passionate and consuming way when I was a teen, and I suspect I’m not alone in that. Favorite character aside from Captain Picard? Hmm. Probably Guinan. Can we talk about Sohrab for a second? I loved him. He’s an unexpected delight and a great best friend to Darius. He’s excited about anything that involves Darius and that was such a poignant part of Darius’ journey. To feel like someone understood him and loved everything about him. Someone who made Darius “belong.” SPOILER ALERT: When Sohrab gave Darius the Team Melli jersey? I experienced a major containment failure. Sohrab isn’t without flaws. He makes mistakes. He also owns up to them. Did he represent anyone in your own life? When I was Darius’s age, I already had a small but stable friend group of really close friends. Darius has never had that before, though, so I kind of borrowed bits of lots of my other friendships when trying to craft Sohrab. I also tried to capture the feeling of meeting and instantly falling into friendship with someone, something I didn’t experience myself until I was much older and had a day job and found myself instantly friends with some of my colleagues. Let’s talk writing methods: I read you don’t necessarily write to music playlists. Shocker! You did write Darius to Young the Giant—hello, I could write to Mind Over Matter for years, such a great album—but what helps you in your writing process? What inspires your writing moods? Right? Home of the Strange came out while I was in revisions and it was even more perfect for Darius! I can’t write without tea. I need the ritual to kind of get into my writing headspace. And I need to be in a place that’s “for work” and not for relaxation. If I’m writing at home, I’ll sit in a different place than I sit if I’m watching TV or playing a game. But I love writing at coffee shops even more. The buzz leading into the release of this book has been phenomenal. 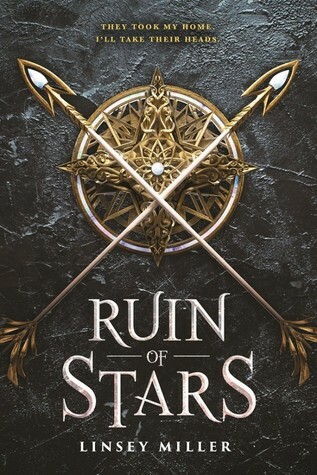 Starred-reviews. Authors talking non-stop about it. Obviously, that’s exciting and always a positive, but has any of it been intimidating? Any advice for other debut authors about handling the pressures of a book release? It has been super intimidating. I’ve always been the kind of person that’s waiting for the other shoe to drop. My good friend Lana Wood Johnson said during her agent search that she always took rejection as a sign she was working hard, and so hearing yes was a strange feeling, and I think she really hit the nail on the head. So some days, I still struggle with the feeling that everything will come crashing down around me. I try not to listen to that voice, though. My advice is to have a good support network. Some need to be writers, and some need to not be writers, because you’re going to need to unburden different parts of the experience to different people. I’m calling it—there’s going to be a lot of “book hangover” once people finish Darius. People are going to need something to tide them over until your next great novel arrives. What books are you enjoying, either in the same vein as Darius or beyond? For other people wanting awesome Iranian characters, I’ve loved Arvin Ahmadi’s Down and Across and Sara Farizan’s Here to Stay. For people wanting stories about life-defining friendships, I’d point them to your debut, Running with Lions! I’m still reeling from my own book hangover from that. For a self-deprecating narrator, this may be a surprising recommendation, but I’ve been obsessed with Martha Wells’s The Murderbot Diaries, a series of novellas about a rogue SecUnit (essentially a cyborg designed to provide security for humans) who can’t seem to stop caring about people, despite trying not to. The book world is going to fall in love with you, which only means one thing: What’s next for you? Will we see further adventures of Darius and Sohrab? Well, I’m working on another book, another stand-alone, but I can’t say too much about it right now. I will say that it’s another contemporary, it takes place mostly in a Kansas City high school, and the main character is a GSA President with some serious Leslie Knope-ish tendencies. I really loved getting into Darius’s head, so I’d never say no to returning to him. I think I know what story I would want to tell. But ultimately that’ll be up to the book doing well enough to make a companion novel viable. Fingers crossed! Thanks so much for agreeing to this interrogation Adib! And thank you Dahlia for this wonderful opportunity. Now, Adib, how many lights are there? Thank you, Julian! And you, Dahlia! It’s been a blast. And THERE! ARE! FOUR! LIGHTS!